Creating perfect sound in a room meant for nothing but listening is one thing. It is a whole other ball game to create perfect sound in a room designed for living. BeoLab 90 is perhaps the world’s most advanced digital loudspeaker, providing unprecedented user control of its acoustic performance – adapting to your living space and preferred listening modes through intelligent design. FEATURES - Innovative technologies pave the way for a truly intelligent speaker that adapts its acoustic behaviour to specific environments and situations. POWER - Underneath the elegant exterior BeoLab 90 sports no less than 18 premium drivers, 14 channels of ICEpower amplifiers and four additional class D amplifiers, equalling 8200 total watts of musical power and precision – per unit. CONTROL - Listening alone, watching a movie with the family or hosting a house full of party guests. There is a perfect setting for every situation, and it is right at your fingertips. PERSONALISATION - Every speaker is made to order. With our customization tool, you can personalise the appearance of the BeoLab 90 to match your own living space. DESIGN - Each shape serves a purpose, every form supports a function. Discover functionalism at its finest. 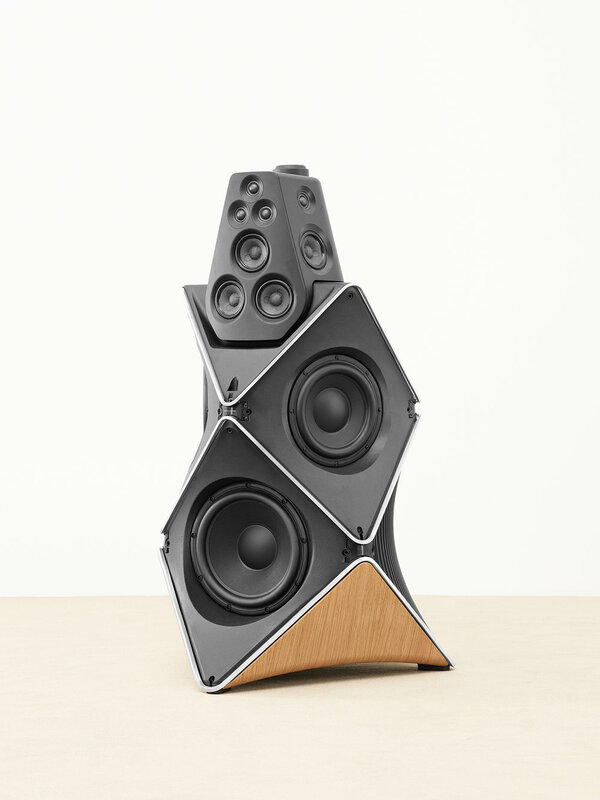 INTEGRATION - Bang & Olufsen products are built to play together. Pair BeoLab 90 with your BeoVision TV or unite all your products into one wireless home system with BeoLink Multiroom.